They’re cute, they’re cuddly, and they pack tons of personality into short stature. But is a small dog right for you? That depends. Small dog breeds come from a variety of backgrounds, and they vary widely when it comes to personality, activity needs and maintenance requirements. The most popular small dog breeds include French Bulldog, Toy Poodles, Dachshunds, Corgis, Pugs, Pomeranians, Beagles, Yorkshire Terrier and Chihuahuas, but each is loved for their own unique reason. Some are known for being kid-friendly. Some are cuddly fluffies. Others are spirited, smart, or need the space of the wide-open country. Some are perfectly content in cities and small apartments. Which might be right for you? Each animal is, of course, an individual, and you should meet any potential pet to see if you’ll be a good match, but these 25 small dog breeds are a good place to start. Read on, and see which might be the perfect fit for your family. As mischievous as they are fearless and loyal as they are funny, these little dogs pack big personality into a tiny package. Personality: Plucky and curious, these fuzzy fellows bound through life with bold curiosity. 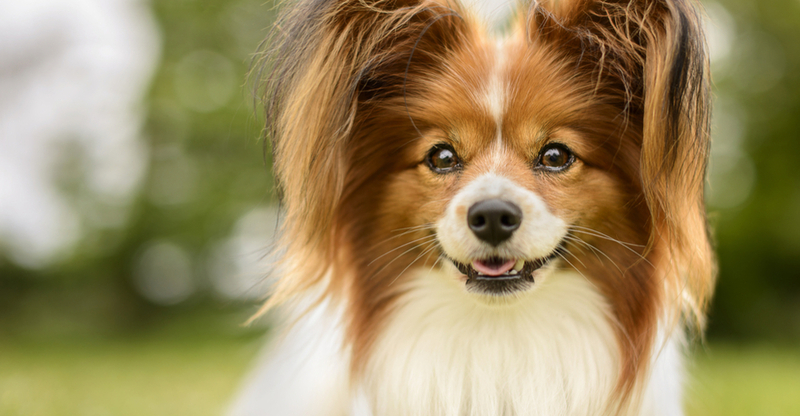 Temperament: Affenpinschers are inquisitive, eager to learn and can do well with older children, but they’re one of a few small dog breeds that need attentive and consistent training. Activity Level: MODERATE. 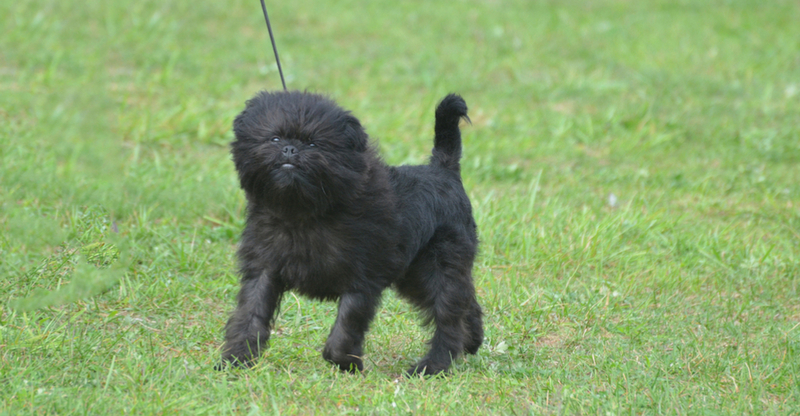 His small stature suits the Affenpinscher for apartment life, but he’ll still need plenty of play time and daily walks. Grooming Needs: MODERATE. The Affenpinscher’s coat and signature beard and mustache need regular grooming to keep from getting scruffy. A knack for following their noses made Beagles a faithful companion on 16th-century hunting excursions. Today, these small dogs are known more for their role as good-natured family pets. Personality: Agreeable, easy-going and likely a bit on the talkative side. Beagles’ vocal cords are more robust than many other dogs’, allowing them to make unique noises like bays, barks, and howls. Ah-woooooo! Temperament: Some may have a stubborn streak, and they tend to follow their noses when they catch a scent. But Beagles are known as one of the best small dogs for kids, as they are quite trainable and prefer to be around company. Activity Level: MODERATE to HIGH. Beagles enjoy long romps where they can follow a scent and explore. Grooming Needs: LOW. 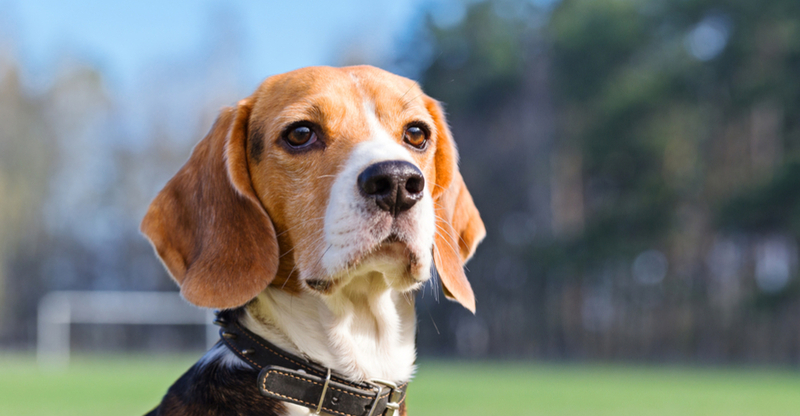 A Beagle’s short coat is pretty easy to care for and can be maintained with occasional brushing, though they do shed. 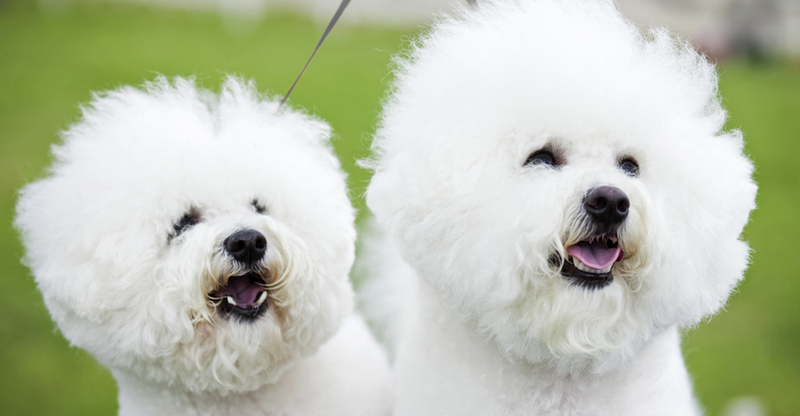 Part adorable puff-ball, part cuddly companion, the Bichon Frise is sweet, sensitive and just one of the many toy dog breeds that makes a great family pet. Personality: Typically friendly to all he meets, the Bichon Frise has a playful side and an inclination toward curling up for snuggles. Temperament: Has some barking tendencies, but is generally responsive to training, and is good with children and other pets. Activity Level: MODERATE. The Bichon Frise is a small dog, but still active, needing daily exercise in the form of indoor play or short walks on a leash. Grooming Needs: MODERATE to HIGH. This pup’s coat doesn’t shed much, but does need regular trims and brushing to keep from matting. Born and Bred in Boston, Mass. during the Civil War era, this little dog breed is known for a sturdy stance, playful demeanor and dapper doggy tuxedo. Personality: Sensitive, clever and lively, the Boston Terrier thrives on interaction with his people and loves to play. 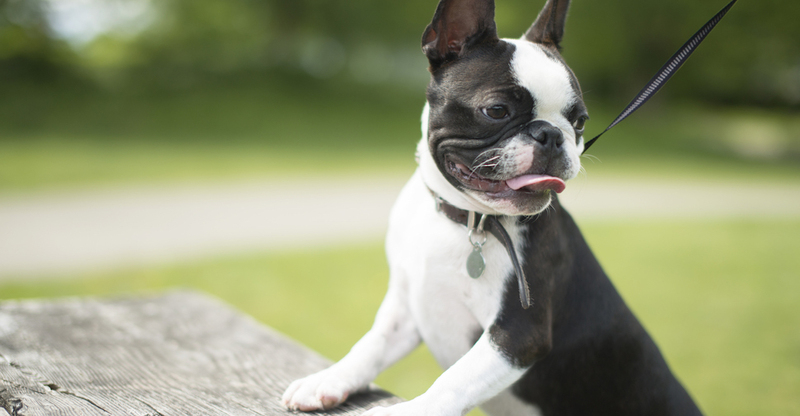 Temperament: Some Boston Terriers may have a stubborn streak, but they are generally eager to learn. Activity Level: MODERATE. Bust out the toys for fetch or Frisbee, but be careful in extreme weather, as Bostons are prone to wheeze and may not tolerate heat well. Grooming Needs: LOW. Plan on an occasional brush to remove dead hair, but not much more for this short-coated companion. He may be small, but the Brussels Griffon doesn’t lack confidence. Like the Affenpinscher and other similar little dog breeds, he’s expressive, intelligent and endearingly mischievous. Personality: Curious and affectionate, the Brussels Griffon is an upbeat pup with a bold and bouncy nature. Temperament: Brussels Griffons can be stubborn, but they are intelligent, too, and usually get along well with other dogs and pets. Activity Level: MODERATE to HIGH. 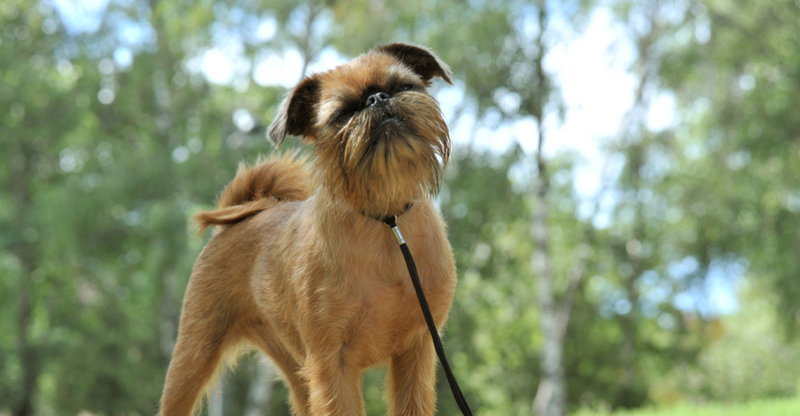 Brussels Griffons need physical and mental exercise daily, or they may resort to climbing or escaping your yard. Grooming Needs: MODERATE. Look for two coat varieties: smooth and rough. The former needs an occasional brushing and grooming to remove dead hair. The latter requires combing a few times a week, plus a trim every few months. This little dog is inquisitive and hardy, quick to learn and a little scrappy, with true terrier tendencies like rooting and digging. Personality: Sweet, but spirited. Playful, enthusiastic and spunky. Temperament: Cairn Terriers are independent but eager to please, and tough enough to romp with the whole family. Activity Level: MODERATE to HIGH. 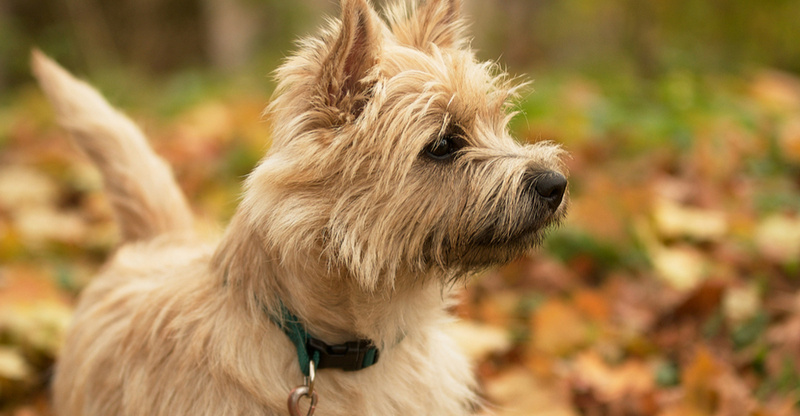 Like many terriers, the Cairn needs daily physical and mental exercise, like a moderate walk where he can sniff and explore the world around him. Grooming Needs: MODERATE. Plan on combing the Cairn’s wire coat weekly, along with an occasional trim. This sweet little dog has earned a reputation as one of the best small dogs for kids, with a gentle demeanor, quiet nature, and love of companionship. Personality: Playful, loyal and affectionate. The Cavalier King Charles Spaniel makes an excellent upbeat companion. 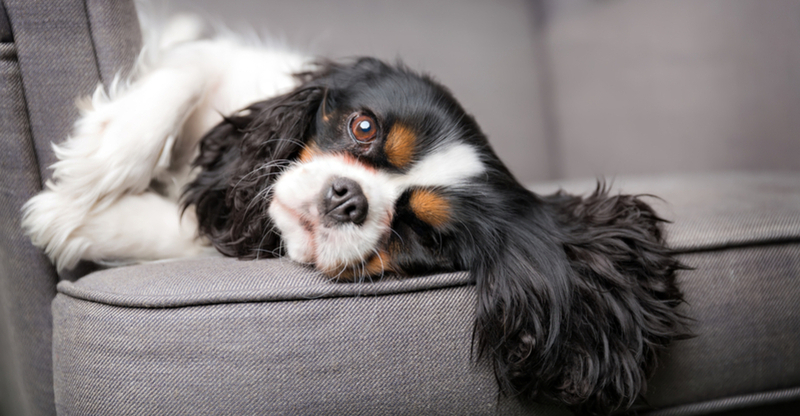 Temperament: Deciding which are the best small dog breeds for your family is always a personal choice, but Cavaliers may be a good option. They are amiable toward other dogs and strangers, easy to train and well-behaved with kids. Activity Level: MODERATE. The Cavalier loves to sniff and chase, so he’ll need a fair amount of exercise each day, but he’ll take it the form of play or a quick walk around the block. Grooming Needs: MODERATE. The Cavalier’s long coat needs to be brushed about every other day, with occasional trimming. Known as one of the smallest dogs (even among tiny dog breeds! ), this pocket-sized pup is still full of big personality, with lively energy and fierce loyalty to his family. Personality: Only his size is diminutive. 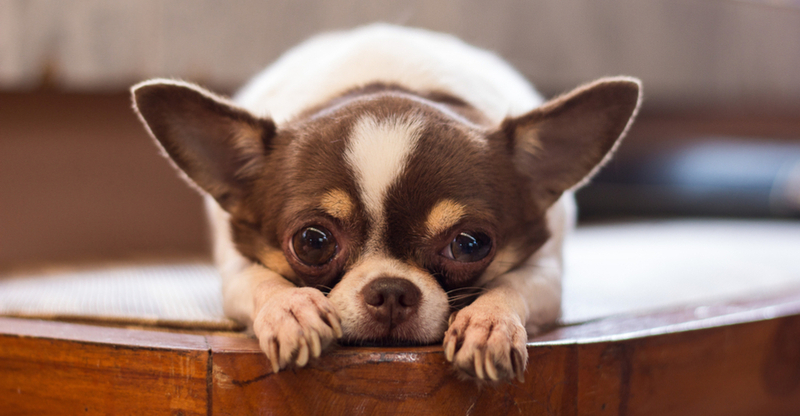 Chihuahuas have tons of character and some headstrong tendencies, but their devotion is unquestionable. Temperament: Chihuahuas may be reserved with strangers and tend to do best with kids who are older or more patient. They may also have vocal tendencies. Activity Level: LOW. Chihuahuas are lively, but they can do very well getting exercise indoors. In fact, many may be sensitive to cold or extreme outdoor temperatures. Grooming Needs: LOW to MODERATE. Short-coated varieties need minimal care, including brushing to remove dead hairs, while longer coated varieties require brushing a few times a week, plus trimming every few months. 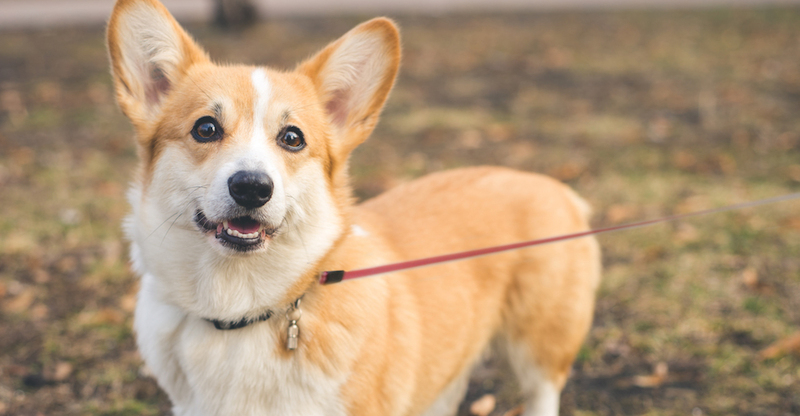 There are two kinds of Corgi – Cardigan Welsh and Pembroke Welsh. The latter is distinctive due to his lack of a tail. Personality: Fun-loving and quick-witted. Both varieties are devoted and companionable. Temperament: As far as miniature dog breeds go, Corgis are sturdy for their size and generally good with kids. They tend to be well mannered with strangers, but may bark from time to time. Activity Level: MODERATE. Corgis were bred to herd. They’re hardy and agile for their size, and need leash walks or moderate play sessions regularly. Grooming Needs: LOW. Plan on brushing your Corgi’s coat once or twice a week. Low to the ground with a great sense of smell, these fearless little dogs hail from 1600s Germany, and were bred to help weed the farm of vermin. Personality: Loveable, friendly and playful, Dachshunds generally make good family pets. Temperament: Longer haired varieties may be quieter, while wirehaired varieties may be more outgoing. In general, Dachshunds are good with kids in their own family. Activity Level: MODERATE. 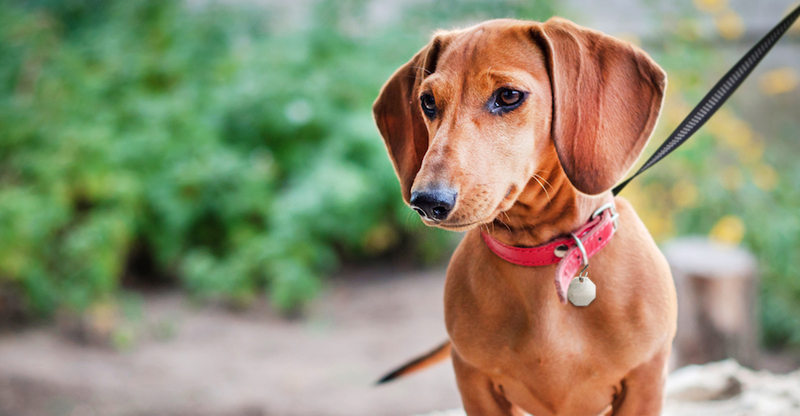 Dachshunds can do well in apartments, but these little dogs still like to sniff, scratch and explore outside. Avg. Weight: 11-32 lbs., depending on whether the dog is miniature or standard. Grooming Needs: LOW to MODERATE. Smooth varieties need brushing about twice a year, while longhaired breeds need brushing once a week and the occasional trim. Both should also have their long ears cleaned with a cotton ball about once a month. Go ahead and call them the class clown of the small dog breeds, because these silly little dogs love to play and entertain. Personality: French Bulldogs are fun-loving and carefree, with a sweet and snuggly side. Temperament: Their sturdy stature makes Frenchies great family pets who love to cuddle and snooze with their human companions. Activity Level: LOW. 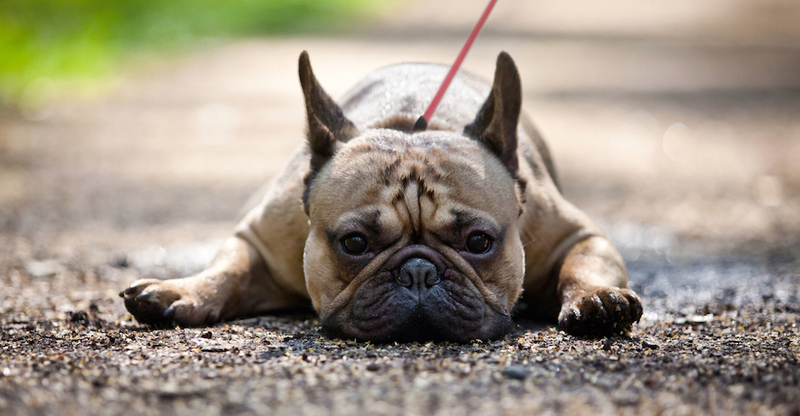 Short walks should suffice to keep Frenchies happy, but take care in warm weather, as they don’t do well in a lot of heat. Grooming Needs: LOW. The Frenchie’s fine, smooth coat doesn’t need much maintenance, just an occasional brush, though he does have face wrinkles that should be cleaned regularly with a damp washcloth. This happy-go-lucky little dog is the only native breed of Cuba and was originally bred to be a pampered lap dog amongst the aristocracy. Personality: Like many miniature dog breeds meant to be companions, the happy Havanese is intelligent, outgoing and loves to be the center of attention. Temperament: These small puppies take an equal-opportunity approach to affection. They are good with kids, non-aggressive toward other pets and tend to be easy to train, though they may be vocal from time to time. Activity Level: LOW to MODERATE. 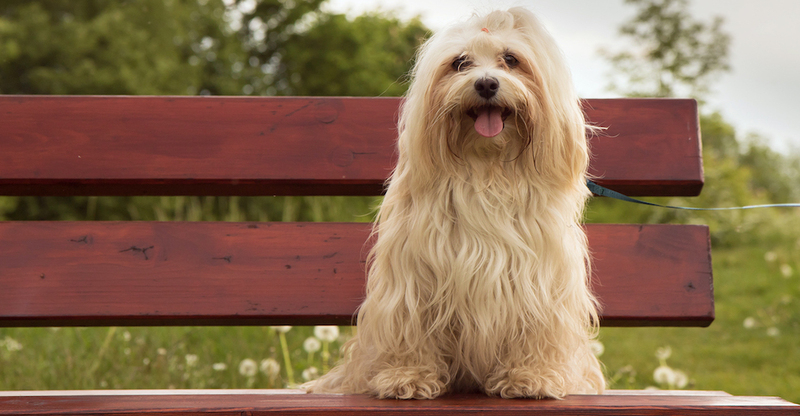 Havanese can do well in apartments, but they still need daily play or short walks. Grooming Needs: MODERATE. The Havanese has a hypoallergenic coat and doesn’t shed, but he requires regular trimming and brushing two to three times a week. Smart, sharp and spry, these small dogs love action and are known to wander off in search of adventure. Personality: Playful and intelligent. Energetic and entertaining, with a love of play. 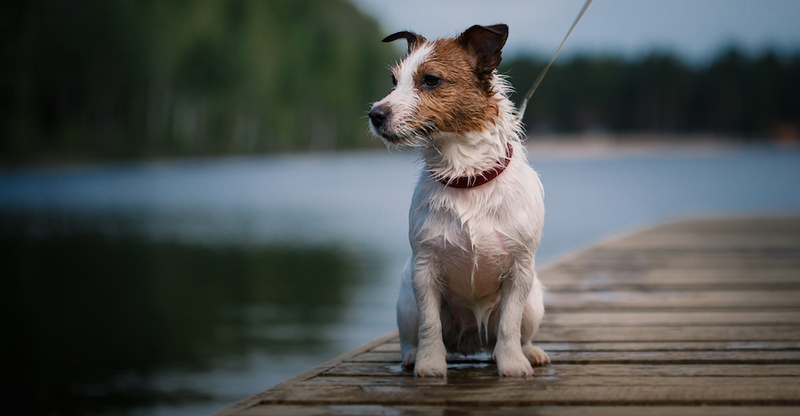 Temperament: Jack Russell Terriers get along with kids, but like other small dog breeds that come from Terrier stock, they may chase cats, and it might be best to keep them away from small pets. Activity Level: HIGH. In true Terrier fashion, these small dogs need a lot of mental and physical stimulation, or they may bark, dig and get into trouble. Grooming Needs: LOW. Jack Russells need brushing around once a week, along with occasional trims around the face and feet for rough-coated varieties. This elegant little dog has wing-like ears that make him a stand out. They give him his name, too, which means “butterfly” in French (and is pronounced “pah-pee-yon”, in case you were wondering). Personality: Attention-loving Papillons are playful, lively and friendly to all they meet. Temperament: These little dogs are obedient, affectionate and responsive, making them quite good with children – just be careful of this tiny dog breeds’ dainty frame. Activity Level: MODERATE. Papillons can do well in apartments but need mental and physical stimulation, so plan on a few games or a short walk every day. Grooming Needs: MODERATE. That long, silky coat needs regular brushing and trimming every few months. This noble little “lion dog” was sacred to the Tang Dynasty in eighth-century China. Today, his regal nature makes him an esteemed companion. Personality: These small dogs are known for being laid back, but they’re also brave and dignified. Temperament: Pekingese are affectionate and extremely devoted to their family, but may have a stubborn and independent streak. Activity Level: LOW. 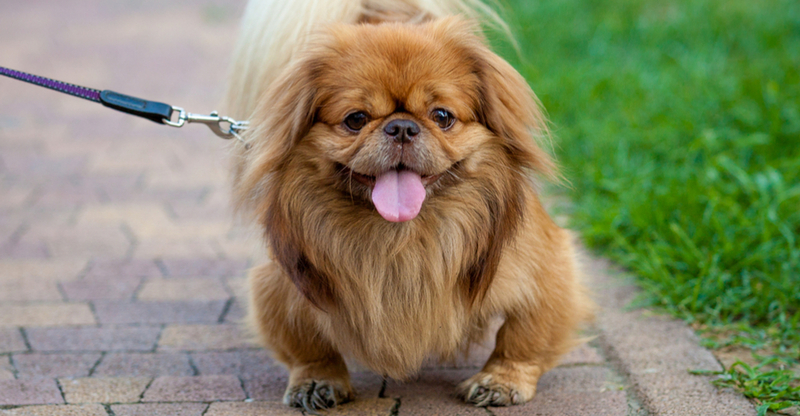 Pekingese are ideal apartment dogs, but many enjoy a leisurely walk. Be careful in heat, however, as they don’t tolerate extreme temperatures well. Grooming Needs: MODERATE to HIGH. The coarse coat of a Pekingese needs brushing several times a week, plus trimming every few months, His wrinkles should also be cleaned regularly with a damp cloth. 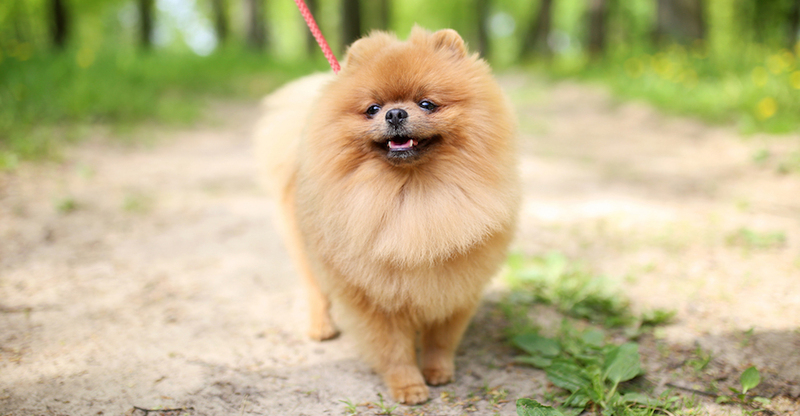 Watch a Pom walk, and you may notice a bouncy, signature strut. Sure, they’re self-confident, but with a smile like that, can you blame them? Personality: Outgoing, friendly and sometimes even cocky, with vocal tendencies that make them great watchdogs. Temperament: Pomeranians are easily trained and very family-oriented, but because of their small size, they may do better with older children. Activity Level: LOW. Make time for a puffball play session or a short walk, and these miniature puppies will be pretty happy. Grooming Needs: MODERATE. Plan on brushing the Pom’s thick, double coat about twice a week, along with trimming every 2-3 months. These delightful little dogs are a wag-and-a-half, and well known for their entertaining antics. They’re also loving and playful, making them a great choice for a family pet. 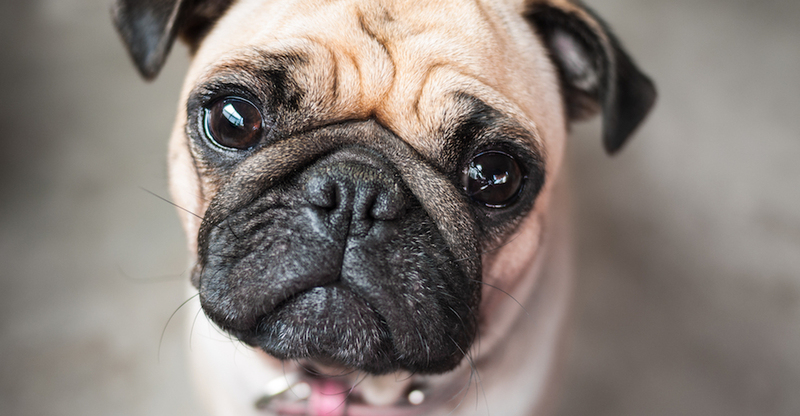 Personality: Pugs like to show off and clown around, but they’re even-tempered and won’t shy away from cuddles. They are fairly quiet, but their bark sounds a bit more like a yip or a yodel. Temperament: Pugs are another of the toy dog breeds with a mischievous side, but they’re trainable and generally willing to please. Activity Level: They’re not one of the best small dog breeds if you’re looking for a workout buddy. Pugs may wheeze in heat, so keep activity simple with short walks and a little play. Just don’t leave it out completely. Pugs can be prone to gain weight, so they do need exercise—and a balanced diet. Grooming Needs: LOW to MODERATE. Plan on brushing a pug from time to time, along with a weekly cleaning of his wrinkles with a damp cloth. Athletic, and happy-go-lucky, Rat Terriers started as farm pets, but quickly became favorite at-home companions. 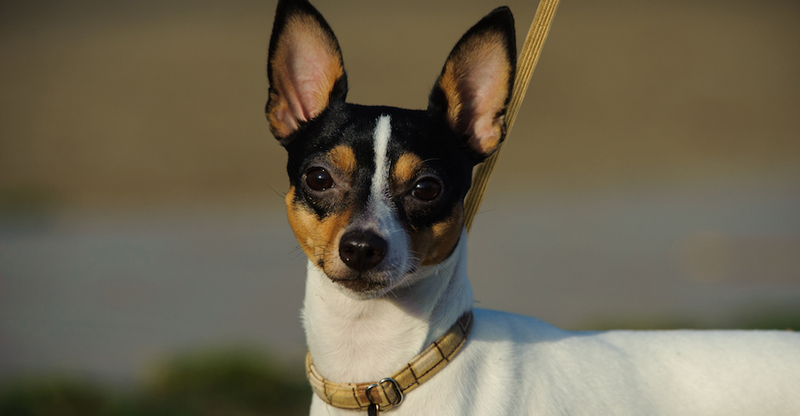 Personality: Curious and particularly loyal, the Rat Terrier is friendly, active and playful. Temperament: These little dogs are family-focused, eager-to-please and among the most trainable of the Terrier group. They get along with other dogs and livestock but may chase smaller pets. Activity Level: MODERATE to HIGH. True Terriers, they still need quite a bit of exercise and play. Grooming Needs: Rat Terriers need occasional brushing, and shed seasonally, but have relatively easy-to-maintain coats. His Flemish name means “Little Captain,” and it’s fitting for this small dog breed. Schipperkes are stealthy, full of curiosity and always on the lookout for adventure. Personality: Faithful, and protective of family and property. Temperament: Schipperkes are independent and headstrong. They need firm training, but have a soft spot for children. Activity Level: MODERATE to HIGH. Mental and physical stimulation is a must for Schipperkes, so plan on lots of play and regular walks. 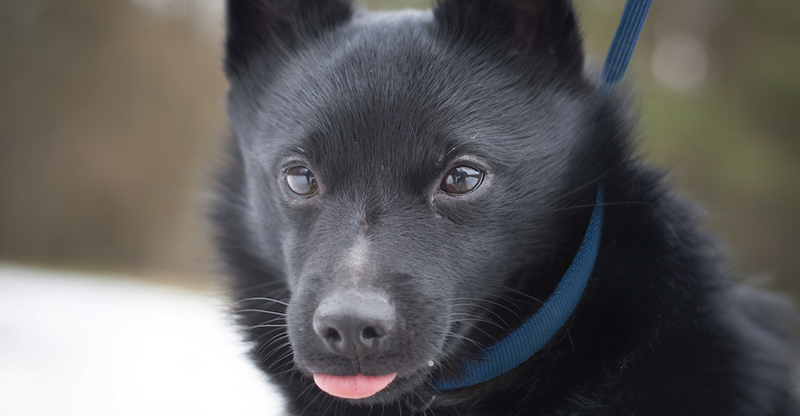 Needs: Another of the little dog breeds with a double coat, the Schipperke needs weekly brushing, and trimming every 2-3 months. 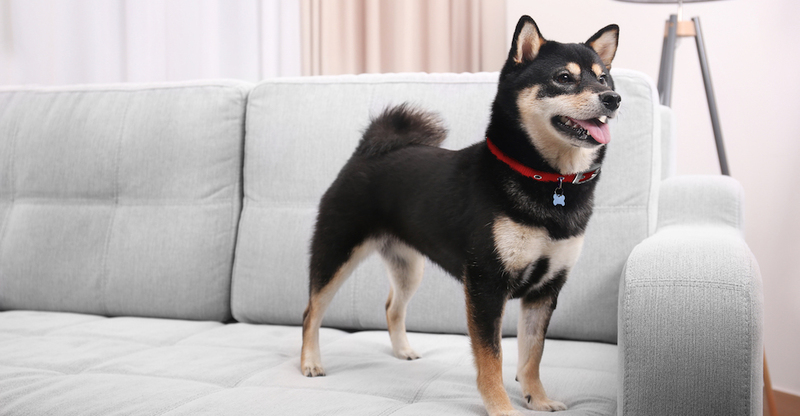 Bred for adventure on mountainous terrain, Shiba Inus are spirited, bold and strong-willed. Personality: Not the smallest dog in terms of attitude, Shibas have a big personality. They’re independent and sometimes territorial but loyal to family and those who earn their respect. Temperament: Shibas are always ready for adventure, so they play well with kids, but they do need firm training and may be vocal. Activity Level: Shiba Inus do best when they can play both inside and out on a regular basis. Grooming Needs: LOW to MODERATE. Shibas have a double coat and need brushing about twice a week to help reduce shedding. Descended from noble Chinese ancestry, these little dogs were bred as palace pets, where they earned their place as a kingly companion. Personality: Trusting, affectionate and outgoing, Shih Tzus are generally happy and upbeat. 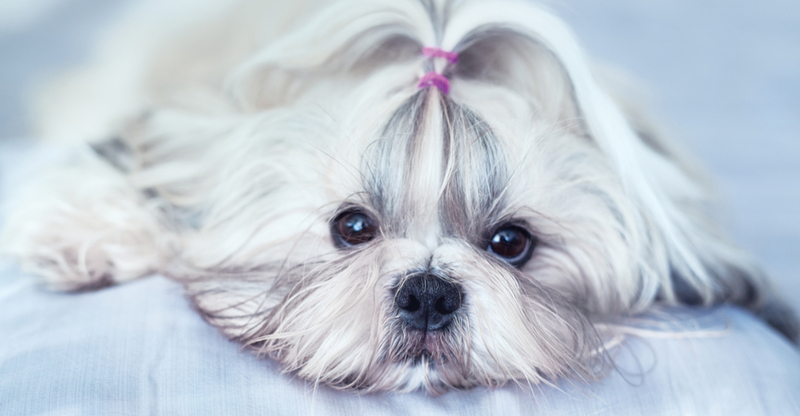 Temperament: A true companion dog, Shih-Tzus respond well to training and are sweet with children. Activity Level: A bit of time spent playing and occasional walks are plenty for these house pets. Grooming Needs: MODERATE to HIGH. Shih-Tzu’s have a long, luxurious coat that needs daily brushing and trimming every month or so. Part toy, part Terrier, these little dogs toe the line between lap dog and watchdog, with an intelligent nature and energy to spare. Personality: Curious, alert and spirited. Toy Fox Terriers are Loyal and adventurous. 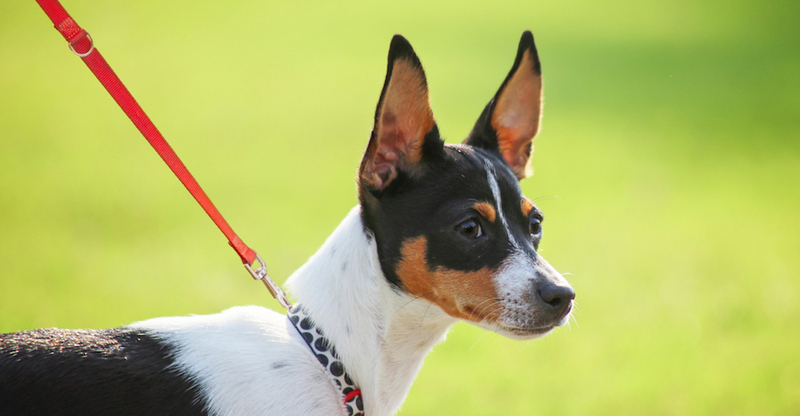 Temperament: Toy Fox Terriers need boundaries and should be socialized early. They can get along with kids, but might do better with older children. Activity Level: MODERATE to HIGH. Their Terrier nature means Toy Fox Terriers need a lot of exercise or vigorous play. Grooming Needs: Weekly brushing should cover the needs for these short-coated dogs. These curly-coated dogs are a classic family pet, and it’s no wonder: They’re intelligent, affectionate and all-around easy-going. 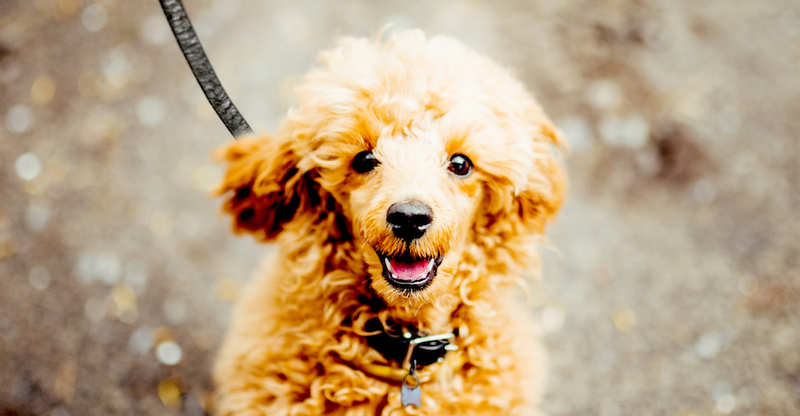 Plus, Poodles come in a variety of sizes for those looking for small to medium dog breeds. Personality: Smart and responsive, Poodles have a knack for mastering tricks. Temperament: Poodles love to learn, are eager to take on training, and are great with kids and other pets. Activity Level: Poodles are active and enjoy play. Many even like to swim, and their coats are adapted to water. Weight: 4-15 lbs., depending on whether the dog is toy or miniature. Grooming Needs: Poodles have a hypoallergenic coat, but need regular brushing to avoid matting. They should also be trimmed about every 6-8 weeks. Known to some enthusiasts as the “Westie,” this small dog breed loves to romp, run and be in the middle of the action. Personality: Independent, curious and playful. Temperament: Strong-willed, but friendly to kids and family. Can get along with other dogs, but may not do well with small animals. Activity Level: MODERATE to HIGH. The Westie is an active little dog, so he’ll need regular time to play outside, follow scents and have some fun. 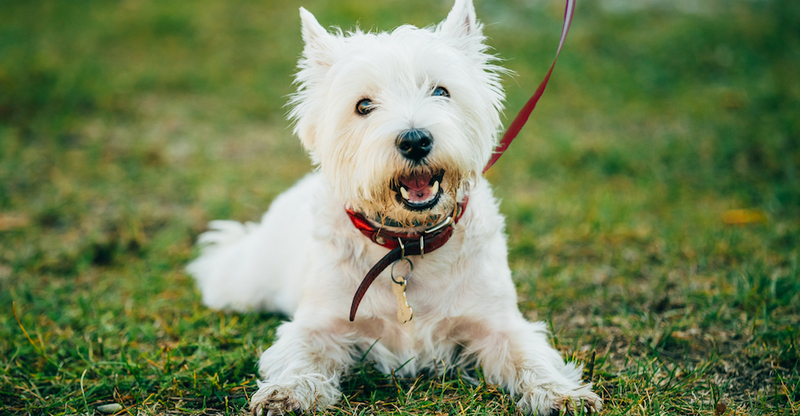 Grooming Needs: Brushing two to three times a week should keep the Westie tidy, and he needs an occasional trim, but his white coat might mean he needs a few extra baths. If you’re interested in dogs that stay small, the Yorkie might be for you. They’re adaptable and inquisitive and don’t shy away from trouble, with a devoted nature and perky disposition. 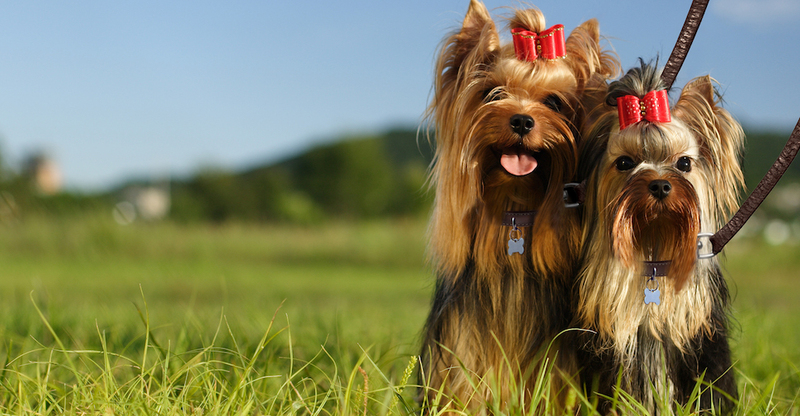 Personality: Yorkies are brave, bold and endearing. Temperament: These little dogs need strong leadership, and may bark unless taught not to. They do better with older kids or a little supervision. Activity Level: Yorkies can get plenty of exercise indoors, but still love to play and interact with their people. Grooming Needs: MODERATE to HIGH. That soft, silky coat needs brushing almost daily, and a trim around every 4-6 weeks. There are also plenty of small dogs ready to be adopted from shelters and rescue groups. Find some of them near you now, then head to the shelter, or contact your local rescue group to learn all about their unique personalities in person. Note: While the breeds in this collection tend to be small, individual pets will vary. Please consult the adoption organization for details on a specific pet. As mischievous as they are fearless, and loyal as they are funny, these little dogs pack big personality into a tiny package. A knack for following their noses made Beagles a faithful companion on 16th century hunts. Today, their role is simply good-natured family pet. Part adorable puff-ball, part cuddly companion, Bichon Frise is sweet, sensitive and one of the many toy dog breeds that makes a great family pet. Born and bred in Boston, Mass. during the Civil War, this little dog breed is known for a sturdy stance, playful demeanor and dapper doggy tuxedo. He may be small, but the Brussels Griffon doesn’t lack confidence. He’s expressive, intelligent and endearingly mischievous. This sweet little dog is one of the best small dogs for kids, with a gentle demeanor, quiet nature and love of companionship. As one of the smallest dogs (even among tiny dog breeds! ), this pocket-sized pup is full of big personality, lively energy and fierce loyalty.